BREATHTAKING PANORAMIC VIEWS of the Elizabeth River from this one level condo in a quiet waterfront community. 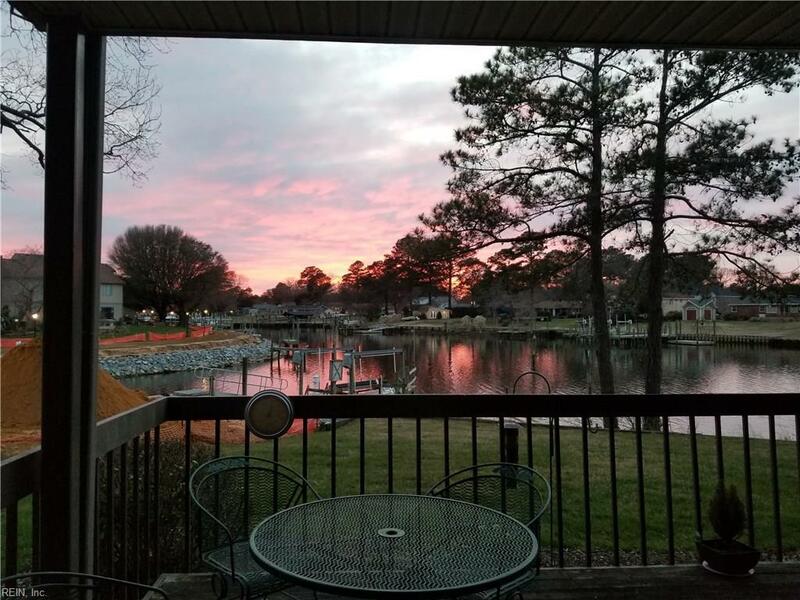 Enjoy the sunsets reflecting on the deep water every evening from your own HUGE deck outside, or from the many windows and doors inside! Eat-In kitchen has quart tops, stainless steel appliances, tile backsplash, ceramic tile floor. Large great room with fireplace. Perfect floor plan for entertaining or relaxing, as both kitchen and great room overlook the water and have access to the deck. Large bedrooms. Utility room. Unit has it's own garage, driveway and a reserved space in the parking lot. All on one level on the first floor with easy no-step access from garage or doors. Covered front and rear porches. Priced below recent appraisal.